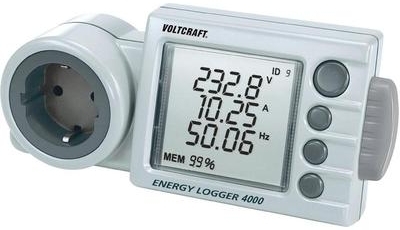 Conrad's VoltCraft Energy Logger 3500 is a great device to measure and log electric power consumption. However, the device's manual setup is... well... not too pleasing. I knew the device could also be configured with a setup file on the SD card, and after some internet searching I found this page with info on the setup file format. I also found some links to software to create a setup file, and more software to read the device's data, but unfortunately none of these worked on my Windows 7 system. 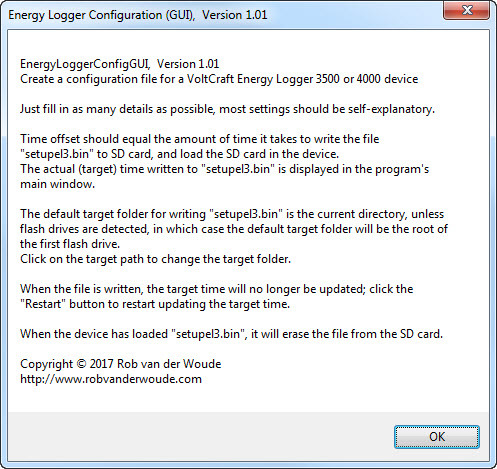 So for a start I wrote my own command line setup file creator in C#: EnergyLoggerConfig.exe. 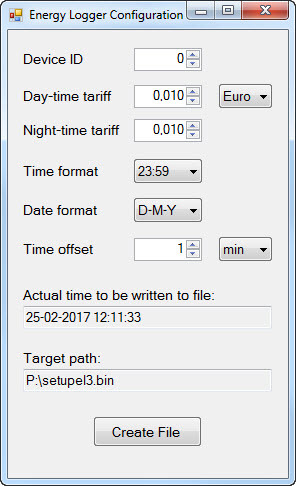 cost calculations. Once loaded, the device will erase the file from the SD card. The command line tool works fine, but I figured a GUI might make it much more intuitive. Besides, by using dropdown lists for the choices, validation of those choices is no longer necessary. The command line and GUI versions are both included in the ZIP file.